You can claim £20.70 per week (for first child) and £13.70 per week (for subsequent children). This can massively boost your family budget amounting to more than £1000 annually for your first child and more than £700 annually for any subsequent children. All parents are entitled in claiming Child Benefit. However, if you or your partner earns more than £50,000, you are now required to pay an extra Income Tax. You need to pay back 1% of your family’s Child Benefit for every £100 of your income over £50,000. This means that if you or your partner earns £60,000 every year, you must pay all your family’s Child Benefit as extra Income Tax. To claim Child Benefit, you need to fill out and print the CH2 form (found in here) and send it to HM Revenue & Customs along with the birth certificate of the child you are claiming for. Free dental care and free prescriptions are given when you are pregnant or just had a baby in the previous 12 months. This can save you £8.20 per prescription and £256.50 in dental treatments. All you need to do is to apply for a Maternity Exemption Certificate signed by your doctor or midwife. To apply, you need to fill out the application form FW8 which is available from your midwife, GP, or health visitor. They will sign and send it for you. You will receive the certificate via the post. An additional MATB1 certificate is required to avail the free NHS Dental Care. It is in utmost importance to tell your dentist beforehand that you want NHS treatment when scheduling for an appointment to claim your free NHS Dental Care. You can claim a refund within 3 months on prescriptions you paid if your certificate doesn’t arrive in time. Just ask your pharmacist for an official NHS receipt form (form FP57 in England or WP57 in Wales). REMEMBER: You can only get a FP57 refund receipt when you pay. You can’t get it later. Similarly, when you want to get a dental care refund, ask your dentist for an official NHS receipt form FP64. Additionally, you are required to fill out the HC5(D) Refund claim form (found here) explaining why you are claiming for a refund. The parent is still entitled to the free NHS Dental Care even for 12 months if they lose their baby after the 24th week of pregnancy. They are required to show stillbirth certificate issued by local registrar of births, marriages, and deaths. SMP is paid for up to 39 weeks. For the first 6 weeks, employees get 90% of their average weekly earnings before tax. Afterwards, employees get a flat rate of £145.18 or 90% of their average weekly earnings if less. The UK government will increase the Statutory Maternity Pay from £145.18 to £148.68 starting from April this year. Eligible employees should earn on average at least £116 a week. Additionally, the employee should have 26 weeks of continuous employment 15 weeks before their expected due date. The employees are expected to give their employer a 28 days’ notice telling that they want to stop work to have a baby. This could be in writing if the employer asks for it. The employer must confirm within 28 days together with how much SMP you will get and when it will start and stop. Moreover, the employee should tell their employer the day they want to start their SMP. If the employer decides you are not eligible, form SMP1 will be given to you explaining why. Employees should also give proof of their pregnancy to get their SMP within 21 days of their SMP start date. This could be in a form of letter from your doctor or midwife or your MATB1 certificate. Early births, stillbirths, and deaths after birth, are not reasons to terminate your SMP. Maternity Allowance are given to pregnant women who don’t qualify for the Statutory Maternity Pay. It can be claimed as soon as being pregnant for 26 weeks. Payments start as early as 11 weeks before the baby’s expected due date. Employees should have 26 weeks of continuous employment (or self-employment) 66 weeks before their expected due date. Additionally, they should be earning at least £30 weekly in at least 13 weeks. If you are employed, you can get £145.18 a week or 90% of your average weekly earnings before tax (whichever is less) for 39 weeks. For the self-employed, they must have paid Class 2 National Insurance to get the full amount for at least 13 of the 66 weeks before the expected due date. However, you will only get £27 a week when you fail to do this while meeting all other criteria. You can still get Maternity Allowance if you are unemployed. You are still entitled £27 a week for 14 weeks. 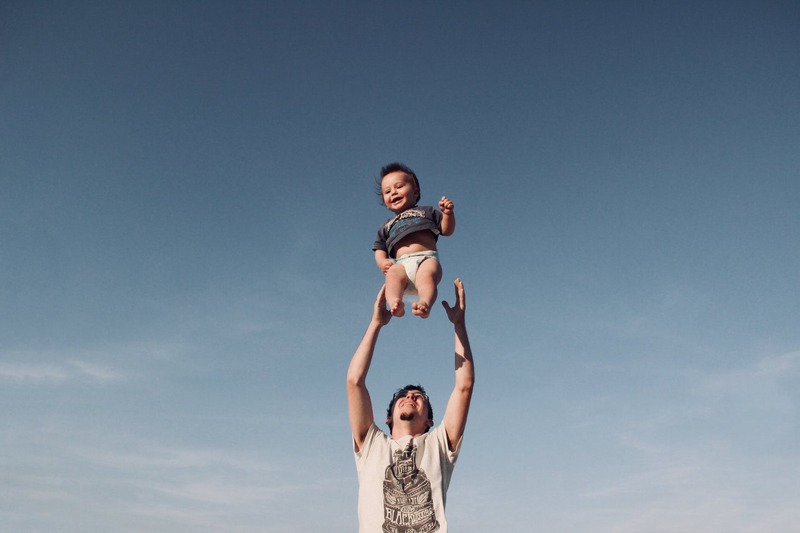 If you are having a baby or adopting a child, you and your partner may claim a Shared Parental Leave (SPL) and Statutory Shared Parental Pay (ShPP). This benefit grants you up to a shared 50 weeks of leave, and up to a shared 37 weeks of pay. As the name of the benefit suggests, this should be shared between you and your partner. It is also in your decision on how you manage these weeks of benefits. You can split it on however you want or take all in one go. If you decide to split your leave, you can book up to 3 separate blocks of SPL. Shared Parental Pay rate is £148.68 (effective on April 2019) or 90% of your average weekly earnings, whichever is lower. This is like the Statutory Maternity Pay except that 90% of your average weekly earnings is paid during the its first 6 weeks. To be able to claim this benefit, you and your parent need to give at least 8 weeks’ written notice to your employer and to meet the eligibility criteria. The eligibility criteria for birth parents is different to adopters. To see if you are eligible, links for eligibility criteria for birth parents and adopters are given here. Application forms are found here. Child Tax Credit is credit given to taxpayers for each eligible child aged under 17 at the end of the tax year. If you are not able to make a new claim for Child Tax Credit, you can apply for Universal Credit (if you are of working age) or Pension Credit instead. How much you can get depends on your income, number of children you are responsible for, and whether they are disabled. The following table shows the maximum amount you can get for each ‘element’. If you are not sure whether you are responsible for a child, you can contact HM Revenue and Customs (HMRC) to verify. When you already have a child/ren. you can only get a grant if either you are expecting multiple births such as twins, or the child you are caring is someone else’s. To apply for the grant, you are required to print out and fill in the Sure Start Maternity Grant (SF100) claim form and post it to “Freepost DWP SSMG”. You will get a letter of confirmation if your claim was successful. The Healthy Start Scheme helps parents and parents-to-be by giving them ‘Healthy Start’ free vouchers that can be used to purchase milk (or infant formula milk), vegetables, and fruits. Qualified parents can use these vouchers in over 30,000 shops in the UK. Vouchers can also be swapped for pregnancy vitamins, breastfeeding vitamins, and vitamins for children aged 6 months to 5 years old. Vouchers are worth £3.10 each given to you in a weekly basis. You can get 1 voucher a week if you are pregnant or have a child aged 1 year old to 4 years old. However, if you have a child under 1 year old, you get 2 vouchers instead. You are also eligible for the Healthy Start Scheme if you are pregnant and under 18 even if you do not receive any benefits. To claim you Healthy Start vouchers now, you need to fill and print out an application form here or apply through its official website here. This application form should be signed by your midwife or doctor and they will send it in for you. The Care to Learn Scheme helps young parents aged below 20 years old continue their education after the birth of their child by providing funds for childcare. You must be under the age of 20 at the start of your course. You can get up to £160 per week if you live outside London, and £175 per week if you live in London. Childcare payments go directly to the childcare provider. Payments end when you stop attending your course, you reach the end of your course, and your child stops attending childcare. To claim, you need to apply here.